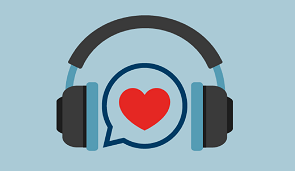 The latest episode of the MiCare Champion Cast, the MHA’s podcast on issues surrounding healthcare, covers efforts by Michigan hospitals and OB/GYN providers to keep moms and babies healthy and safe. The episode highlights work that began with the MHA Keystone: Obstetrics collaborative to support and guide Michigan hospitals in improving maternal and infant health outcomes, which has continued through partnerships with the Michigan Alliance for Innovation in Maternal Health (MI AIM) and the Blue Cross Blue Shield-sponsored Obstetrics Initiative (OBI). The episode features interviews with Frank Anderson, MD, MPH, of the Ann Arbor-based University of Michigan Department of Obstetrics and Gynecology; Brittany Bogan, MHA senior vice president of safety and quality and executive director of the MHA Keystone Center; and Amy Zaagman, executive director of the Michigan Council for Maternal & Child Health, Lansing. The episode can be heard on SoundCloud or iTunes. To listen on a mobile device, subscribe to the “MiCare Champion Cast” with a podcast app, such as Apple podcasts, Google Play, Stitcher and more. The podcast is part of the statewide #MiCareMatters campaign, which was launched in 2017 and aims to build a network of citizens — “MiCare Champions” — who will be called upon to engage in advocacy efforts to protect access to affordable healthcare services in Michigan. Members with questions about the MI AIM and OBI efforts should contact the MHA Keystone Center; those who would like to submit ideas for future podcasts should contact Laura Hall at the MHA.